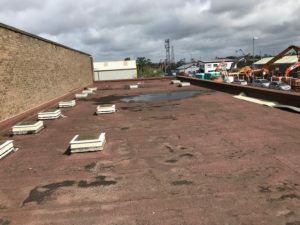 The building is a single storey unit on an industrial park in Knowsley. The plan was to convert the unit into modern offices and it was absolutely essential to get the tired old roof installation into shape. 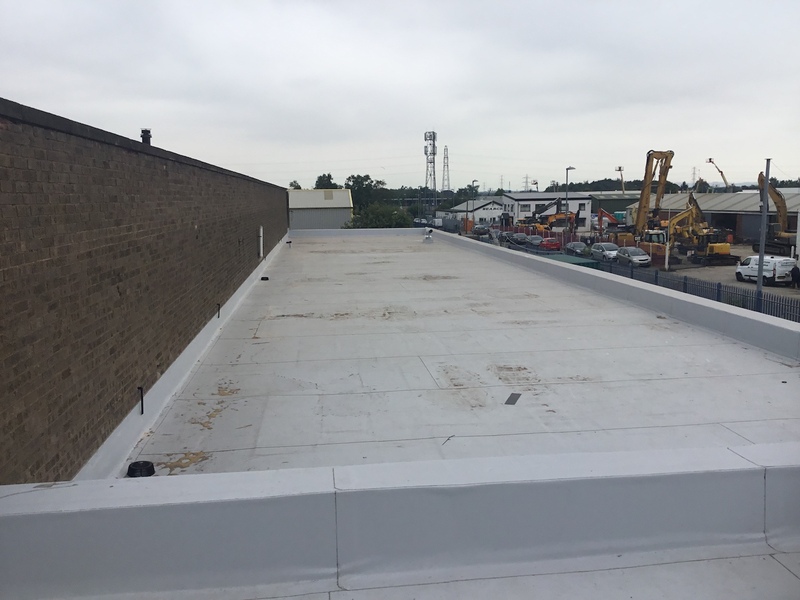 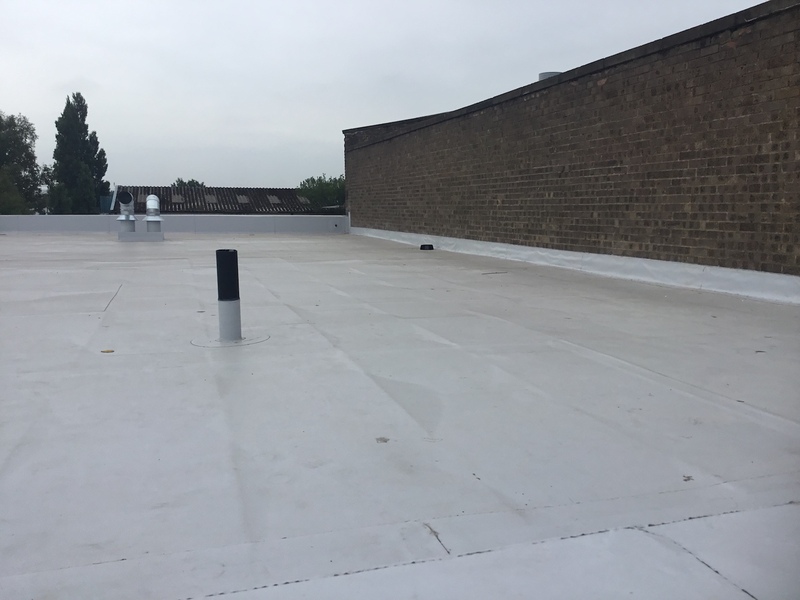 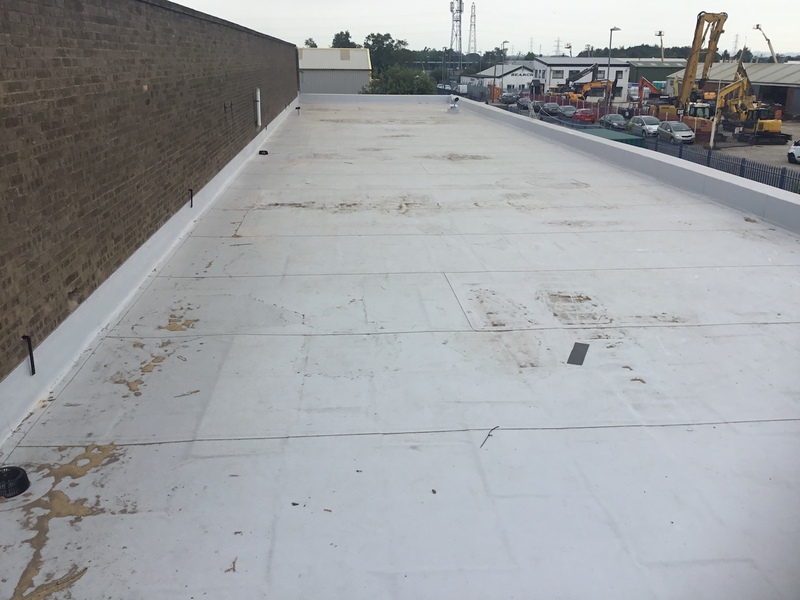 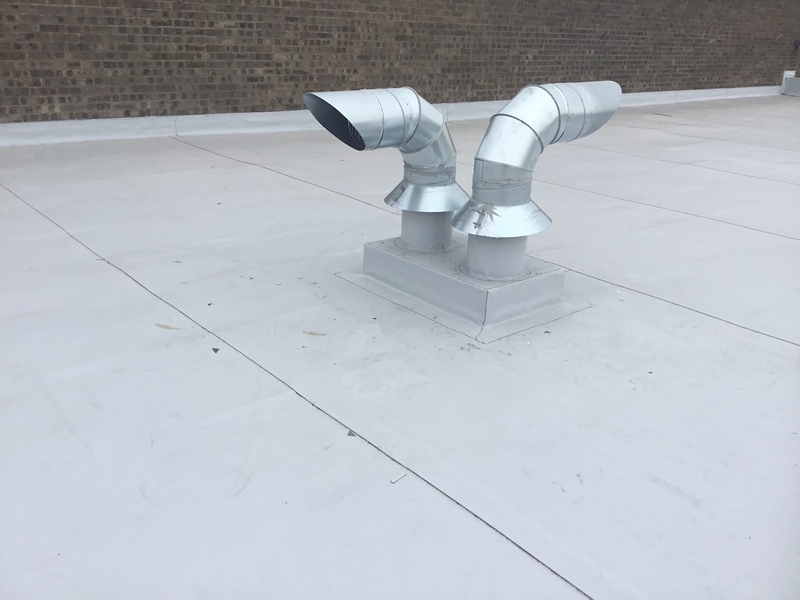 We were pleased to be commissioned to refurbish the existing felt roof which was failing in multiple locations. The roof was split over 2 levels which created some additional planning. 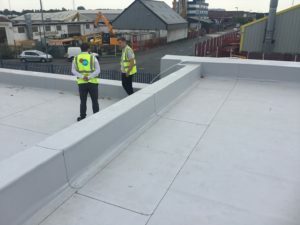 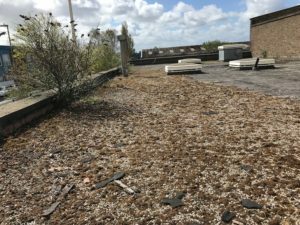 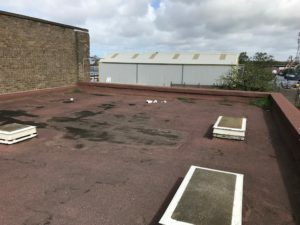 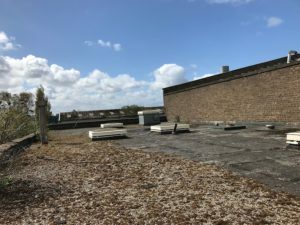 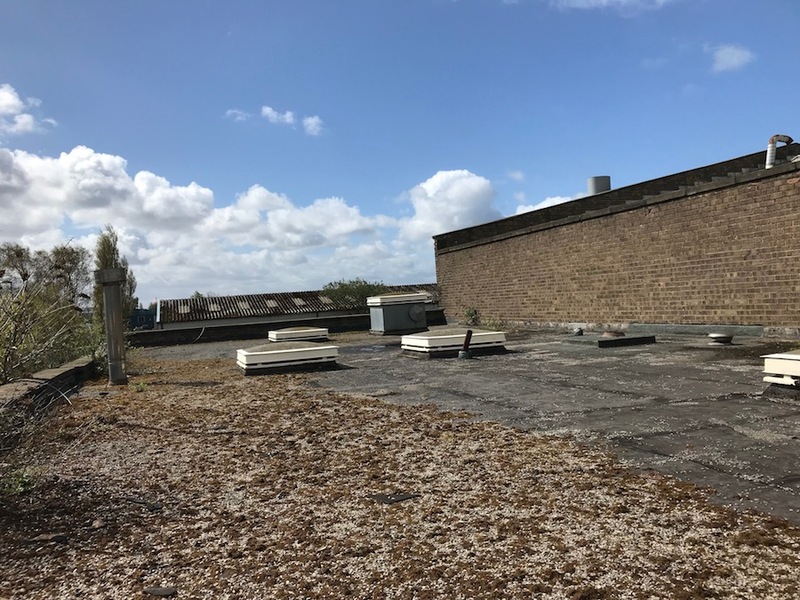 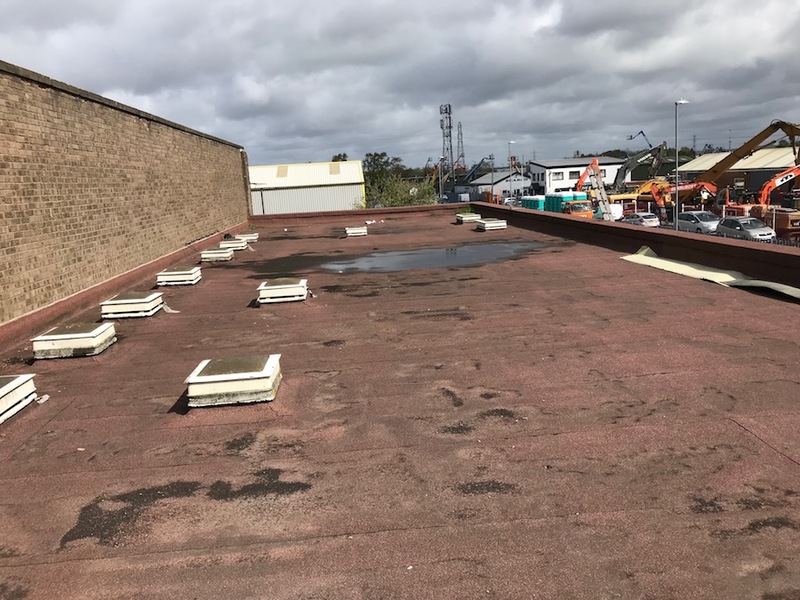 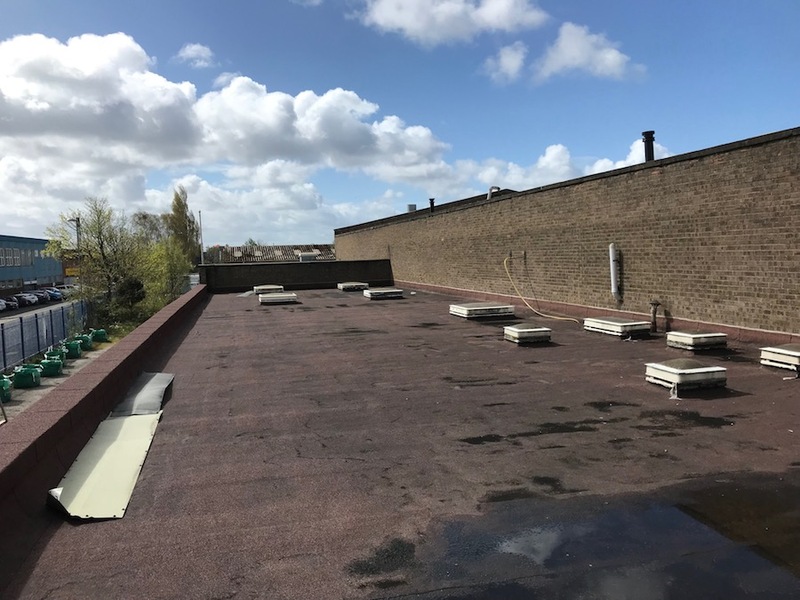 The existing concrete roof was covered with felt which was failing in many places, preparatory work was required by us before the new roof could be laid . 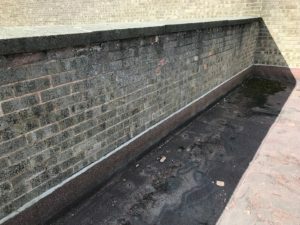 It was important to cut out and make good various areas of blistering to leave a workable flat surface. 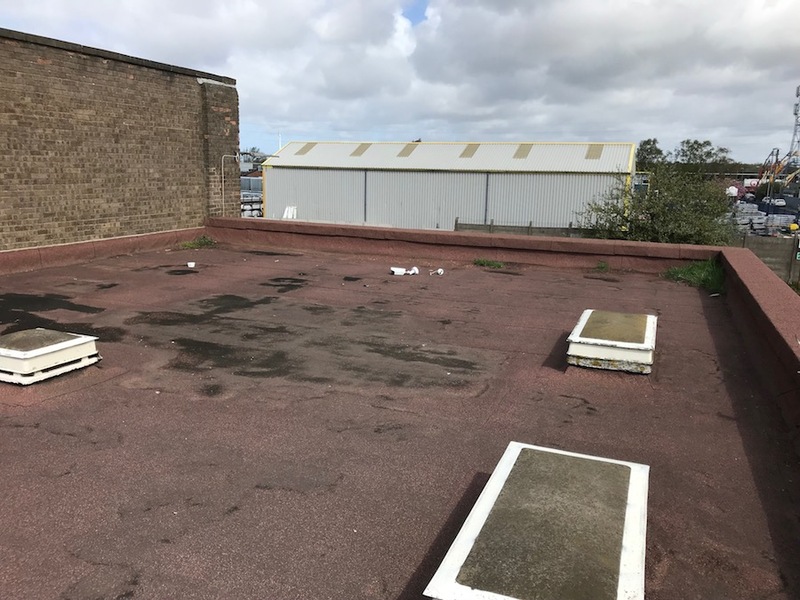 The building also had 5 old roof lights that needed to be removed & the voids infilled (this was done by others) – if not infilled correctly there would be an impact on our work / schedule. 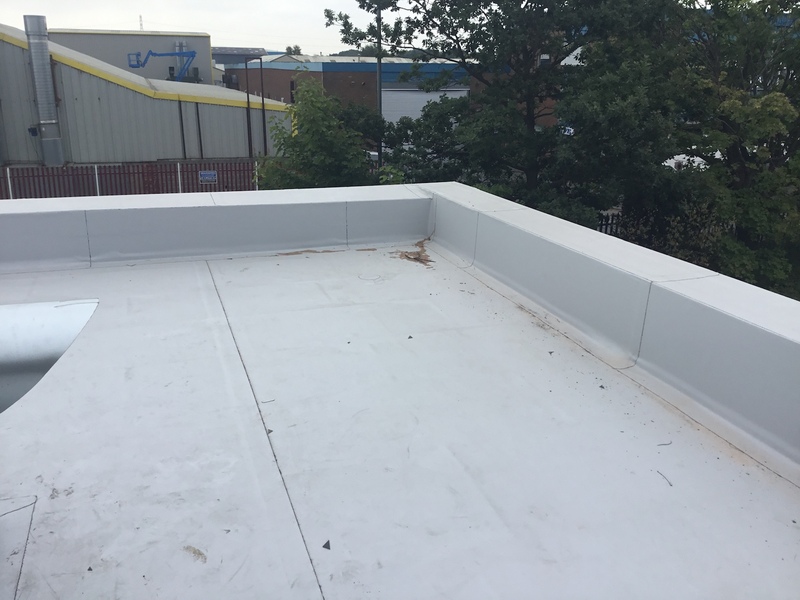 We utilised the existing felt roof covering to provide the vapour control barrier. 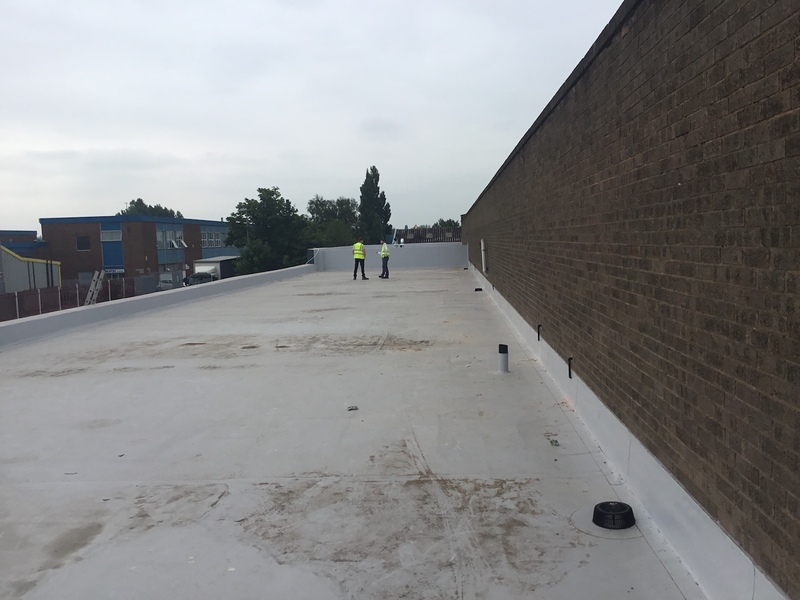 We laid 25mm (thickness) of Sarnatherm PIR insulation board. 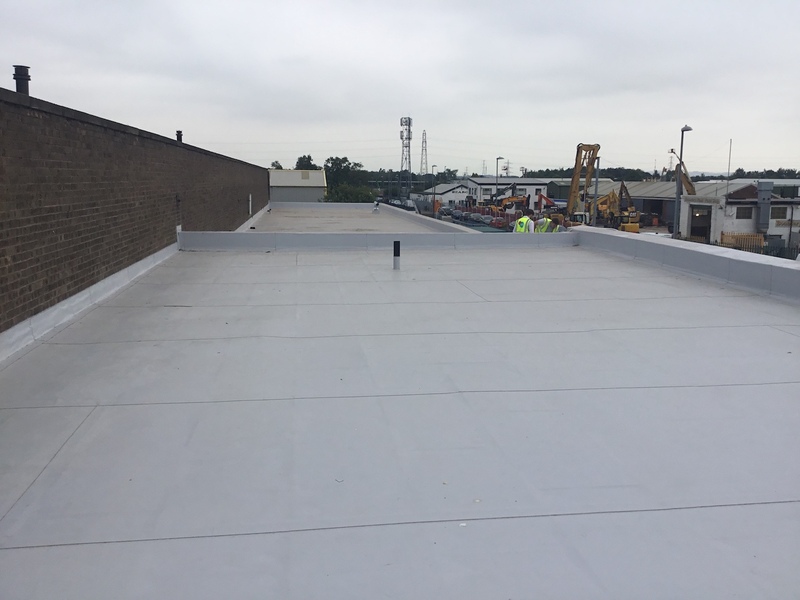 Sika Sarnafil 2mm (thickness) single ply membrane was applied in light grey colour. A 2 man installation was completed in under 4 weeks (during a heatwave!). 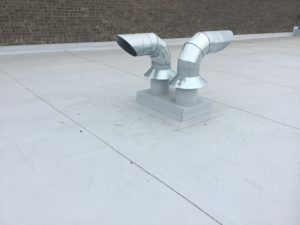 The project was originally scheduled for 6 weeks. The work was completed 2 weeks ahead of schedule. Excellent quality of workmanship / finish was delivered. A very happy customer was gained. Manufacturer requirements for 20 yr guarantee were met. Manufacturer field inspector commented “Tidy job”.